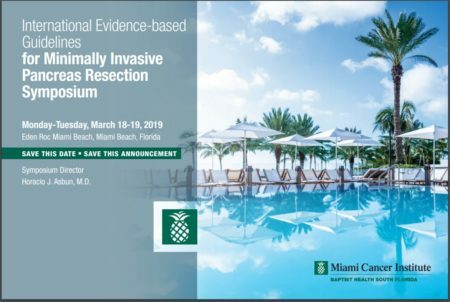 This symposium will focus on international evidence-based guidelines for minimally invasive pancreatic surgery (MIPS) that aim to give guidance to surgeons, hospital administrators, patients and medical societies on the outcome of MIPS and the direction to be taken regarding this challenging type of surgery. To register or read more information, please CLICK HERE. The Pancreas Symposium 2019 program will review current controversies and procedures for managing complex pancreatic disease, both benign and malignant. Acute and chronic pancreatitis, pancreatic cystic neoplasms and pancreatic cancer are among the most complex cases that physicians are confronted with as internists, gastroenterologists, oncologists, and surgeons. Our internationally recognized faculty will present lectures and case presentations to help practicing physicians treat pancreatic disease. To register, please CLICK HERE. 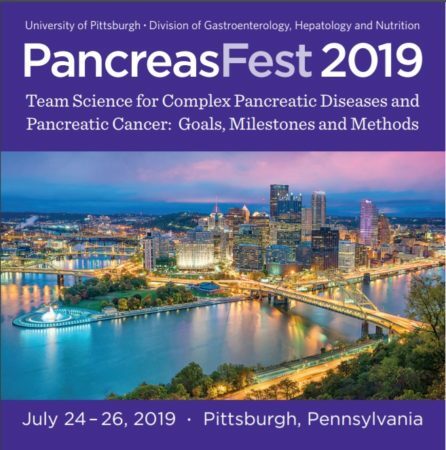 PancreasFest is an annual meeting of pancreas physicians and translational researchers who convene during the last week of July to find new ways of working together to improve patient care. PancreasFest is an umbrella conference that supports multiple smaller meetings with very focused goals. These include education programs, discussion sessions for new ideas, learning from other disciplines, investigator meetings, and efforts to help young investigators explore and get started on their own projects. PancreasFest is a meeting with a pragmatic purpose: multicenter research. For more information, please CLICK HERE. 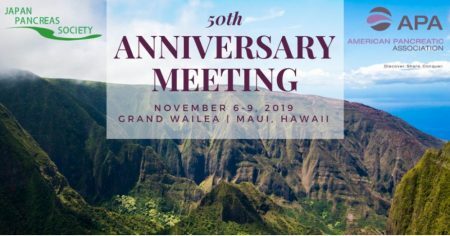 The APA Annual meeting brings together Pancreatologists (medical pancreatologists, endoscopists, surgeons, pathologists, radiologists, oncologists and basic scientists) from all over the world to present and discuss current clinical and laboratory research related to the field. Evidence-based advances in techniques and intervention for treating pancreatic disorders are featured. This three-and-a-half day meeting features several mini-symposia on current topics in Pancreatology as well as abstract presentations, and invited lecturers. To register, please CLICK HERE. For patient education events, please GO HERE for specific state chapters.